A special Connecticut shaped hardwood magnet designed for us by Nestled Pines woodworking. 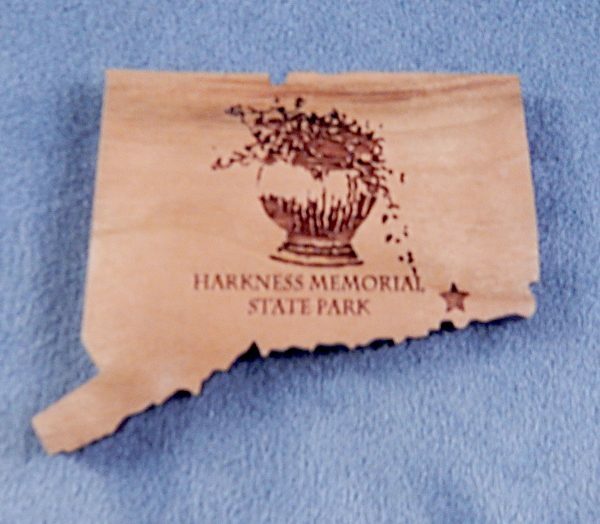 It’s approximately 2″ in size and shows the location of Harkness Memorial State Park with a star. *If you are buying more than one of the wood ornaments, please email us for adjusted shipping charges as we can fit up to 6 items in the box.